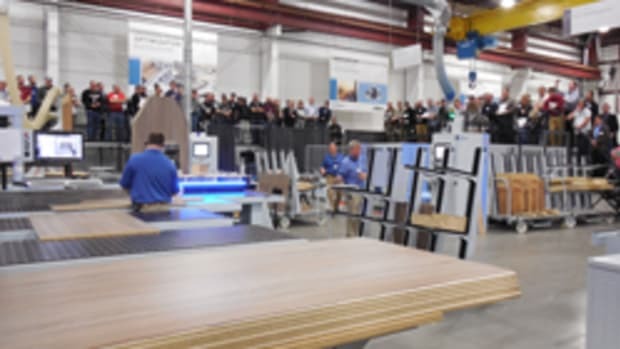 American woodworking manufacturers will have a strong presence at Canada’s major trade show, the Woodworking Machinery & Supply Expo, scheduled for Oct. 27-29 at the Direct Energy Centre in Toronto. For the first time, the Wood Machinery Manufacturers of America will sponsor a pavilion at the show, featuring exhibits by eight member companies, including Black Bros., Hendrick Mfg., Mereen-Johnson, RazorGage, Safety Speed, The Original Saw, TradeSoft and Williams & Hussey. Other WMMA members exhibiting on their own include Delcam Artcam, Franklin Adhesives, Graco, Klingspor, Microvellum, Osborne Wood Products, and The Sherman Williams Co. Many more will be exhibiting through their Canadian dealers, according to the WMMA.